Heavy Duty Parachute Cargo Bag - Black | BUDK.com - Knives & Swords At The Lowest Prices! 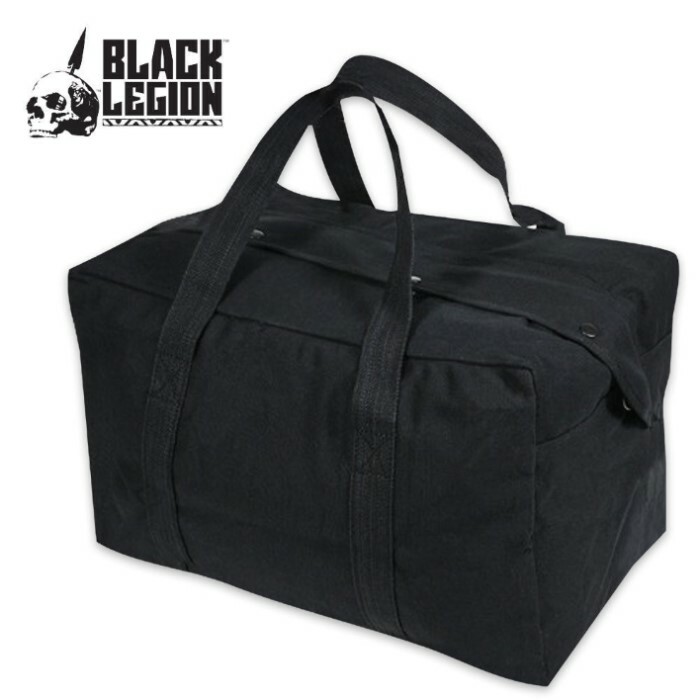 Store all your precious cargo in this Parachute Cargo Bag from Black Legion. Constructed of heavyweight cotton canvas, this bag offers reinforced web handles for a bag you can carry around everywhere. The full-length zippered opening is covered by a snap flap. The cargo bag measures 24" x 15" x 13" overall. Just stuff it, stow it and go! MAMA ROSIE AND I JUST GOT ONE OF THESE BAGS AND THEY ARE BIG ! GREAT FOR WHATEVER KIND OF GEAR YOU WISH TO STORE IN .